Daniel J. Murphy - dmurphy@shawmedia.com Cary-Grove's Talia Duzey leads in the 800-meter relay during the Fox Valley Conference girls track meet Thursday May 3, 2012 at Huntley High School. 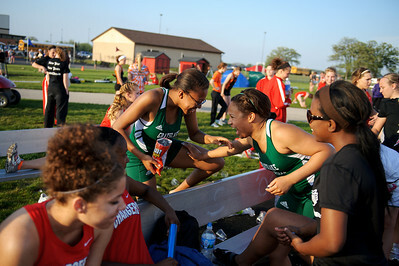 Daniel J. Murphy - dmurphy@shawmedia.com Grayslake runners Miranda Adams,17, Amanda Palmer,18, and Destinee Moore, 17, joke around while waiting for the 100-meter dash to start during the Fox Valley Conference girls track meet Thursday May 3, 2012 at Huntley High School. 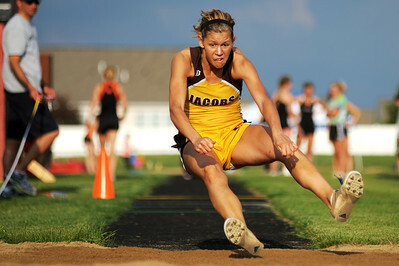 Daniel J. Murphy - dmurphy@shawmedia.com Jacobs' Allie Virgilio competes in the triple jump during the Fox Valley Conference girls track meet Thursday May 3, 2012 at Huntley High School. 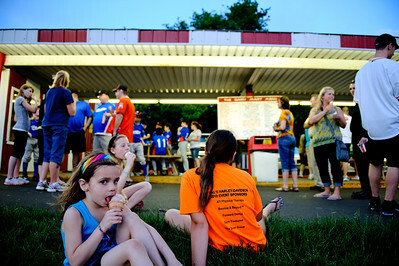 Daniel J. Murphy - dmurphy@shawmedia.com Tyler Hajduk, 9, (right) of Huntley cheers in celebration of getting a passing semi to honk his horn Thursday May 3, 2012 at the Dairy Mart in Huntley. 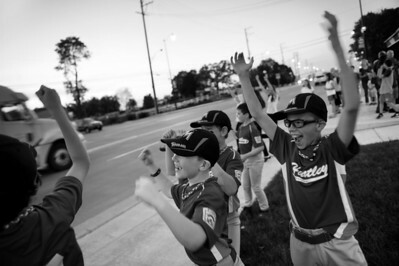 Tyler and his little league baseball teammates were out celebrating their first win of the season with ice cream and dinner. Daniel J. Murphy - dmurphy@shawmedia.com Tyler Hajduk, 9, (right) of Huntley cheers in celebration of getting a passing tucker to honk his horn Thursday May 3, 2012 at the Dairy Mart in Huntley. 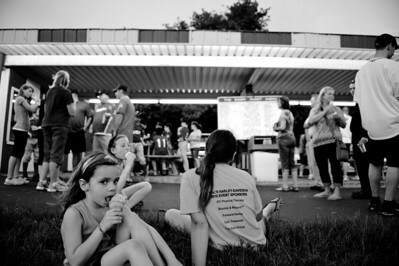 Daniel J. Murphy - dmurphy@shawmedia.com Stephanie Biosca, 5, (left) eats and ice cream cone Thursday May 3, 2012 at the Dairy Mart in Huntley. 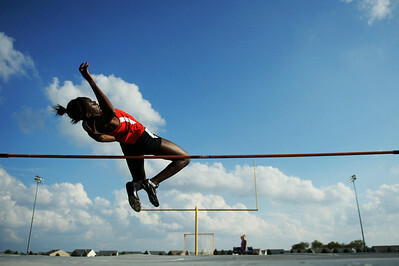 Daniel J. Murphy - dmurphy@shawmedia.com Huntley's Omo Tseumah clears 5 1/2 feet in the high jump during the Fox Valley Conference girls track meet Thursday May 3, 2012 at Huntley High School. Daniel J. Murphy - dmurphy@shawmedia.com Girls zip around the track in the open 800-meter race during the Fox Valley Conference girls track meet Thursday May 3, 2012 at Huntley High School. 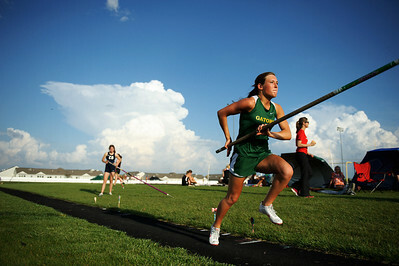 Daniel J. Murphy - dmurphy@shawmedia.com Crystal Lake South junior Amanda Zbilski approaches the pole vault landing pit during the Fox Valley Conference girls track meet Thursday May 3, 2012 at Huntley High School. 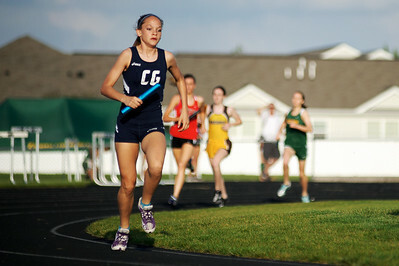 Cary-Grove's Talia Duzey leads in the 800-meter relay during the Fox Valley Conference girls track meet Thursday May 3, 2012 at Huntley High School.